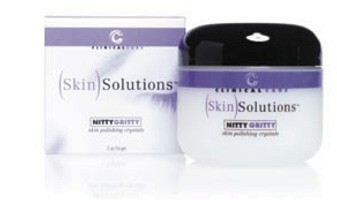 This highly effective formula polishes skin with Aluminum Oxide crystals, the same crystals used for microdermabrasion. This highly effective formula polishes skin with Aluminum Oxide crystals, the same crystals used for microdermabrasion. Clinical Care Skin Solution's Nitty Gritty is very beneficial for maintaining a microdermabrasion treatment for a longer period of time, or can be used without microdermabrasion treatments to receive a very desirable effect.